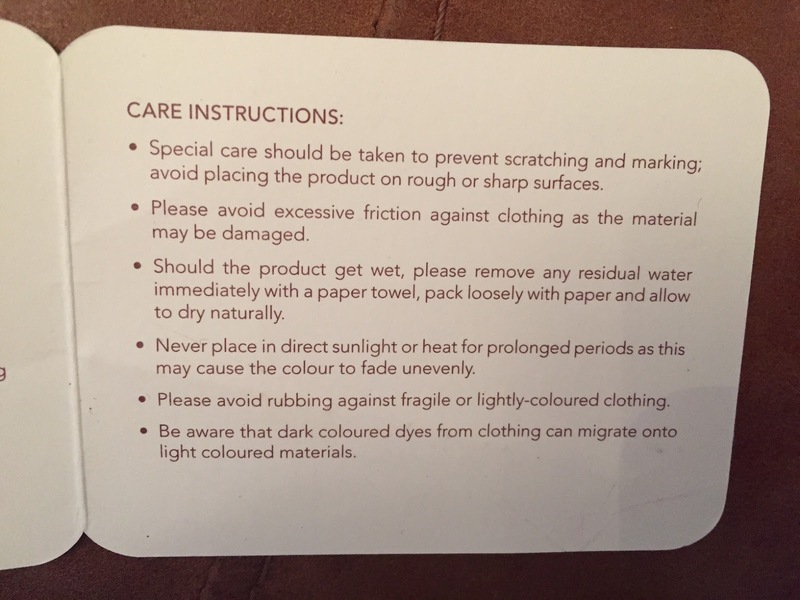 As I previously wrote in a pondering over which finish Mulberry Bayswater, that conundrum of 'which bag' does not stop when you found a style: it continues right through the choice of leather or finish. 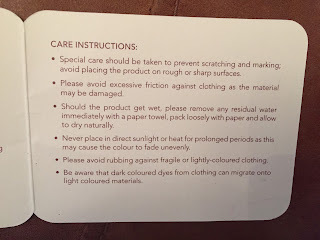 Sometimes you'll be purely considering colour and sometimes the choice of leather or material will depend on other factors. You might prefer a finish that isn't too sensitive to stains or scrapes or you might care most about one that gives your bag a sturdier finish. 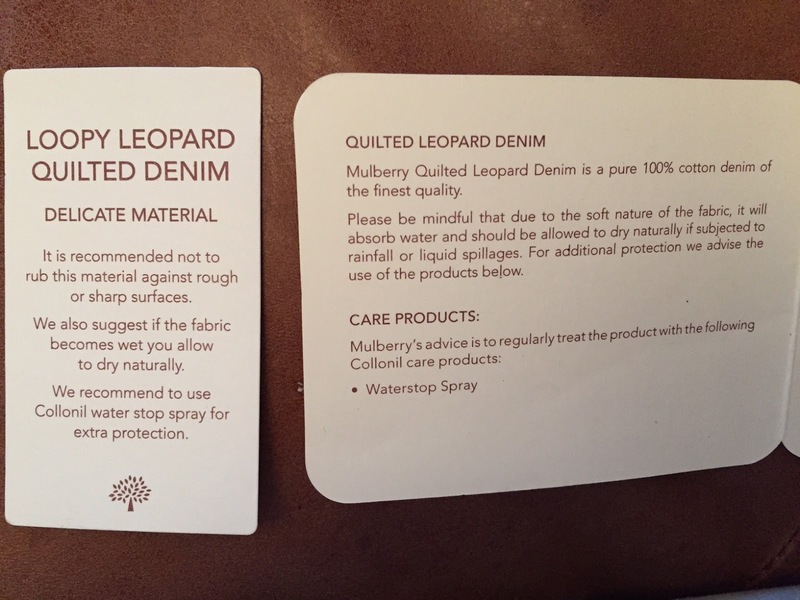 I recently managed to track down a Mulberry Regular Alexa in Plum Loopy Leopard Quilted Denim and as I have the same bag in Soft Buffalo, I thought I'd do a quick comparison. Sizewise, they should be the same. If I measure them as normal (and double check on Naughtipidgin's Nest), they come up with the same measurements: 33cm wide, 23cm high and 17cm deep (all approx). And in both pictures above you can see that this is about right. Granted, the black buffalo Alexa slouches as bit and therefore appears deeper but not as high - so once you lift her up it is the same. The slouch gives the clue though: whilst the denim quilted Alexa is stood up all by herself, my black Alexa is held up by the Samorga she hides inside. This is partially due to the quilted denim being sturdier and thicker but also the piping and other leather trim seems to be harder leather; I'd guess is harness leather. ...the quilted denim Alexa's handle has been embellished with a piece of metal chain. What else? I've always cleaned and protected my Alexa with Collonil Gel and Waterstop Spray. It's a pretty sturdy leather and I never had an issue with either stains or excessive wear. 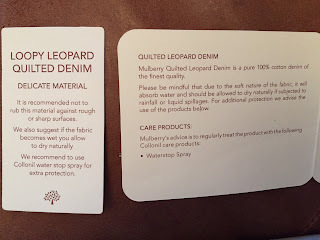 The quilted denim is obviously not leather but a cotton and potentially not as hard wearing but Mulberry does say you can protect it with Collinil Waterstop. This was, of course, a very functional comparison - but you can see for yourself, that the loopy is all colourful and, well, loopy and the soft buffalo is black and glossy. Which one do you prefer?